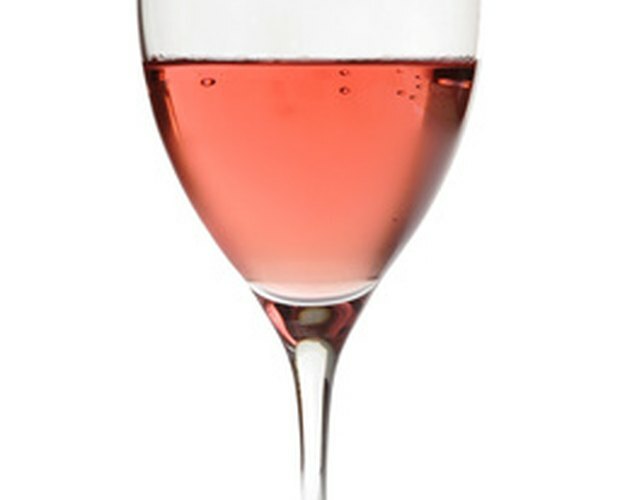 White zinfandel is a cool, crisp, fruity blush wine that ranges between semi-dry to sweet. White zinfandel is made from the same zinfandel grapes used for making the bold, red, classic zinfandel. The difference is in the processing and fermentation. 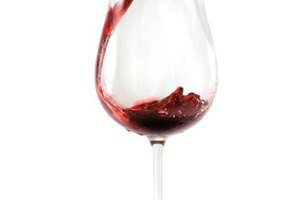 Before the fermentation process in a white zinfandel, the red grape skins are removed, leaving only a hint of red color. The result is a sweet, melon-and-strawberry-toned wine. White zinfandel should be served cold and with light meats, spicy sauces, cheeses and desserts. Pair white zinfandel with light appetizers. White zinfandel always is served cold and is commonly consumed as an aperitif before the meal. Serve it with cold-cut meats, such as thinly sliced salami or pancetta, mild-flavored cheeses, salads and antipasto. Pair white zinfandel with light meat, including chicken, pork and lamb. 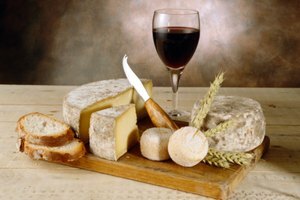 The general rule with wine pairing is white meats with white wines and red meat with red whine. As a sweet wine, white zinfandel is best paired with light flavors so that it is not completely overpowered. Possible white meat options include grilled chicken, pork chops, chicken kebabs, lamb gyros and pork or chicken sandwiches. Pair white zinfandel with seafood. 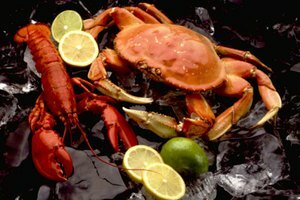 As with white meat, white wines are commonly paired with seafood, including any variety of fish, lobster, cockles, crab cakes, clam chowder, fish and chips and grilled or steamed shrimp. Pair white zinfandel with pasta dishes. Tomato-based pasta dishes are better accompanied by white wines because of the acid content of the tomatoes. 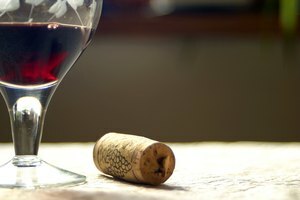 Acidic foods tend to clash with the acids present in tannic red wines; therefore, acidic foods are best paired with low-acid wines, including white zinfandel. Cream-based sauces such as fettuccine also blend well with a white zinfandel. Pair white zinfandel with spicy, international flavors, including Asian, Indian, Middle Eastern and Latin American cuisine. Although surprising, crisp, sweet wines are the best wine pairing for spicy, cultural food because the sweetness helps to tone down and cool the spicy flavors in the mouth. Serve white zinfandel with curry, creole stews, spicy Mexican salsa, tandoori chicken, pad Thai and countless other dishes. Pair white zinfandel with fruit or cream-based desserts. 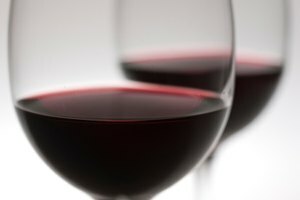 The crisp, fruity flavors of the wine make it an ideal accompaniment to fresh fruits, jams, custards, cheesecakes, puddings, crème brûlée and simple vanilla or lemon cakes and cookies.